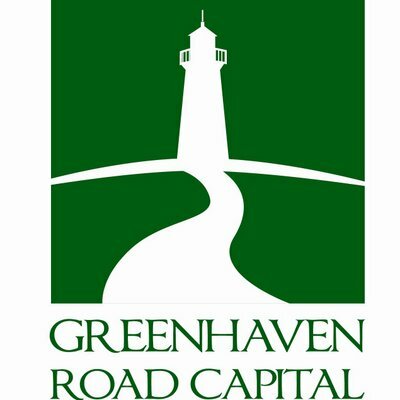 Scott Miller is the Founder and Portfolio Manager of Greenhaven Road Capital. Greenhaven recently launched the Partners Fund, a fund of funds through which Miller will be investing into emerging managers. Prior to founding Greenhaven Road, Miller founded an education company called Accelero that grew to 1000+ employees. Kevin Harris from SumZero sat down with Scott Miller to discuss Greenhaven Road Capital, value investing, and any advice he had for emerging managers. This is the second part of the interview, the first can be accessed here. Harris: What do you hope to accomplish with the Partners Fund? Miller: Through my experiences running the Main Fund I learned first hand that generating very good returns is not enough to attract capital. I also recognized that this created an exploitable inefficiency. Simply stated, there are investment managers out there that are incredibly talented, but they have great difficulty raising capital because they are not proven quantities. Incredible talent combined with small AUM is the best recipe for market beating returns. The trick is getting comfortable with the portfolio manager and the operating business of the fund early in their lifecycle. We are attempting to build something that can take advantage of these incredible managers before they have been discovered by the wider world. If I am right, the Partners Fund can generate attractive risk adjusted returns over time. Harris: Does being on 'the other side' of the fundraising equation as a fund of funds rather than as a hedge fund change your understanding of the industry at all? Miller: Being on “the other side” has not changed my view of the industry. I think the way capital is allocated is broken. Way too much value is placed on funds being large. I have sympathy for folks tasked with allocating billions of dollars to managers. It is hard. They have to write big checks and the money they are investing is typically not their own, so they have real career risk. Their incentives and the realities of size dictate that the majority of their funds must flow to the largest of managers. Unfortunately, a lot of capital that is not similarly constrained follows the billion-dollar allocators into the multibillion dollar funds. The result is that the fund managers with the lowest AUM have the best chance of dramatically outperforming, yet they have the hardest time raising money. Nobody wants to be “early”. Nobody wants to be first. Nobody wants to be wrong. I am not suggesting that these allocators should invest with anybody who just started a fund, but there are some very very very talented managers out there with peanuts for AUM. There are guys that are compounding at more than 20% after fees, with significant personal investments in their own funds, and they have all of the safeguards such as 3rd party administrators. However, I think people’s fear of being “wrong” is far stronger than their desire to compound at high rates, so these small managers stay small. Therein lies the opportunity for the partners fund. We are not afraid to be first. We are not exposed to career risk, so we can afford to think outside the box, and blaze a path with unheralded managers. Ironically, I think the Partners Fund may end up serving as a conduit for one or two large institutions to get exposure to emerging managers in a very curated way. The Partners Fund can effectively pre-screen managers and invite the institutions to some of our manager only events to allow relationships to start early. The challenge is that I am spending zero-time fundraising for the Partners Fund, so hopefully one or two of the SumZero members looking for a curated way to invest with and build relationships with some of the best emerging managers will reach out to me. Harris: After having now successfully allocated to several managers, what advice do you have for emerging managers looking to launch or grow their funds? Miller: Unless you have a very specific pedigree, you have a better chance of being struck by lightning than getting money from a large institution in the first couple of years of your fund. I know there are a few institutions out there that will be early investors, but they are so rare that if large checks early-on is your strategy, you should be prepared to starve while spending a lot of time on meetings and phone calls. Early investors in funds are by definition independent thinkers. I would try to build a broad base of LPs by writing detailed letters that provide clarity into the investment process. Letters like this let people opt in to the fund. My largest group of investors are portfolio managers / former portfolio managers. My second largest constituency of investors are entrepreneurs, and the final group is what I call “father/sons” where the son reads a letter and gets the father to invest. Don’t try to puff out your chest and pretend you are bigger than you are. There is a group of investors who will come precisely because you are small, because you are nimble, because of the quality of your investment ideas. Those are your people in the beginning. You can build a very strong fund $250K or $500K at a time. I would also say keep your burn rate as low as possible. For most investment styles, you don’t need a team, and you don’t need fancy offices. Keep it simple. You need time – you need a runway. You are not going to be a better investor because of a higher burn rate. In fact, you will probably be a worse investor because you will be desperate for a quick score.